A new piece of policy called Boiler Plus was announced on the 12th October 2017. It was issued by the Department for Business, Energy and Industrial Strategy (BEIS). The policy will form part of Building Regulations. It will give consumers more choice over the way they heat their homes and more control over their energy bills. The Boiler Plus Scheme is now in force and all gas installers must be aware of it. The Government, manufacturers and installers all have a key role in aiding consumers with what it means and upholding the new standards. 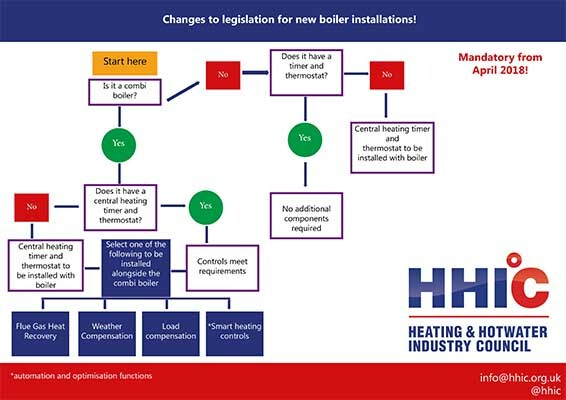 The new standards for domestic heating came into force on the 6th April 2018. From April 2018, when a gas combination boiler is installed in a domestic property in England, an additional energy efficiency measure will be mandatory. Because every house is different, this requirement is flexible to allow a suitable choice to be made that reflects the nature of the building and the needs of the household. We believe the boiler plus scheme will have huge implications on the gas industry in the UK. There is currently a gap in knowledge when it comes to smart controls from both the consumer and the installer. Installers will have to offer their customers the best advice on the energy saving measures detailed above and must be able to install them.